Last summer (2012), I participated in a roundtable discussion with Therese Grisham and Julia Leyda on the subject of “Post-Cinematic Affect: Post-Continuity, the Irrational Camera, Thoughts on 3D.” Drawing on Steven Shaviro’s book Post-Cinematic Affect, and looking at films such as District 9, Melancholia, and Hugo, the roundtable appeared in the multilingual online journal La Furia Umana (issue 14, 2012). For some reason, the LFU site has been down for a few weeks, and I have no information about whether or when it will be back up. Accordingly, I wanted to point out for anyone who is interested that you can still find a copy of the roundtable discussion here (as a PDF on my academia page). Enjoy! If our filmmakers now employ digital technologies that give rise to new aesthetic forms, reluctant stragglers long for a lost cinematic object. In 2011, a spate of movies was released whose aesthetic structures exhibit a yearning for earlier, cinematic forms, using digital technologies to “make them new” for contemporary audiences. While many of these movies digitally re-create older genres and styles, the acclaimed Hugo and The Artist re-create founding moments of cinema itself. This fact alone underlines our definitive entry into the episteme of the post-cinematic. 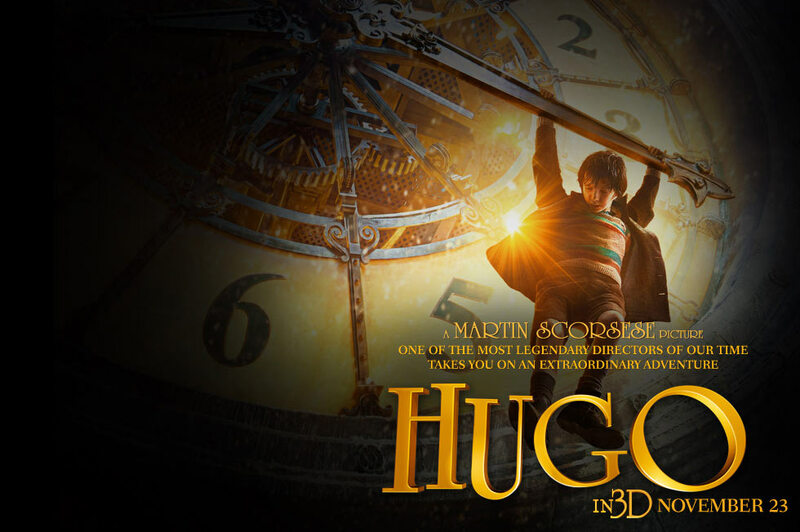 Meticulously re-creating and re-staging the life and work of Georges Méliès, Martin Scorsese’s Hugo is unabashedly at once a “nostalgia film” (Jameson), an ode to the cinematic, and a pastiche of pre-cinema and cinema history. Much of this history is deliberately anachronistic, which can be seen clearly in light of Scorsese’s decision to employ digital 3D technologies to refer not only to the early fascination with three-dimensional images, but to the pervasive 3D movies in the 1950s — the most privileged moment figured in American nostalgia films. It can be argued that this pastiche provokes thought about the history of cinema (Sprengler); it can perhaps more pointedly be argued that the film offers up cultural stereotypes of the past (Jameson), its cinema history belonging to an obsolete, patriarchal textbook. Hugo‘s digital techniques of production and post-production are at odds with its formal properties. I argue that Hugo combines innovations in digital 3D technologies with a classical narrative, a love of paraphernalia presaging cinematic motion (automata and wind-up toys, e.g. ), and a “hyperrealistic” aesthetics of movement, space, color, and pattern. I borrow the term hyperrealism from painting, as a style that focuses on details and subjects, veering into the fantastic. Digital 3D is at its optimum when presenting (“real” or “imagined”) spatial detail and close-ups. Scorsese ultimately suggests that he is the “father” of the digital trick film, and that Hugo is his most elaborate example so far. Hugo is offered to us as a contemporary founding moment in the history of film; nevertheless, its aesthetics, despite their technical innovations, hearken back to a world in which older technologies — and older forms of social authority — persist in the face of newer ones still struggling to be born. Evans, Seth. “Hugo.” In: Jon Fauer’s Film and Digital Times: The Journal of Art, Technique and Technology in Motion Picture Production Worldwide, November 11, 2011. Jameson, Fredric. Postmodernism, or, The Cultural Logic of Late Capitalism. Durham, NC: Duke University Press, 1990. Shaviro, Steven. Post-Cinematic Affect. Winchester: Zer0 Books, 2010. Sprengler, Christine. Screening Nostalgia: Populuxe Props and Technicolor Aesthetics in Contemporary American Film. Oxford and New York: Berghahn Books, 2011.